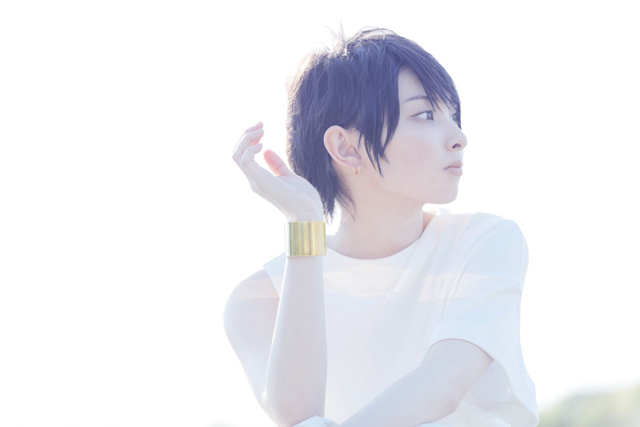 Leo Ieiri is a singer-songwriter, born in Fukuoka. She enrolled in VOICE Fukuoka Music School with a guitar in hand at the age of 13. When she wrote “Sabrina” at the age of 15, in which she poured her youthful confusion and screams, she decided that she wanted to live on music. In spring of 2011, she moved to Tokyo alone. Besides attending high school in Tokyo, she continued to write songs and participate in live performances. In February 2012, she made her major label debut, and her first album “LEO” ranked second in Oricon Chart for two weeks, followed by other achievements such as winning 54th annual Japan Record Award in upcoming artist category. In January 2013, she went on her first solo tour, all of which was sold out. In 2013, she graduated from high school. She won the 55th annual Japan Record Award, the Best Music Category for her 5th single “Taiyo no Megami”. In February 2012, she released her second album “a boy” and went on to 14-show-tour for the third time. Her third album “20” was released in February 2015, and then she drew 20 thousand fans to her fourth 15-show tour. In August, she released her 10th single “Kimi ga Kureta Natsu”, which was chosen for the second time as the theme song for “Monday 9PM” TV drama, which brought her the 30th Gold Disc Award “BEST 5 SONGS BY DOWNLOAD”. In February 2016, she had Tokyo, Osaka Nagoya Zepp Tour “Leo Ieiri Live at Zepp-two colorurs”. Her latest work is “her 12th single Bokutachi no Mirai”, a theme song for “Omukae Desu”, a TV drama aired on Nippon TV, released on May 11th . She is going on to her first music hall tour this fall for 20 shows.